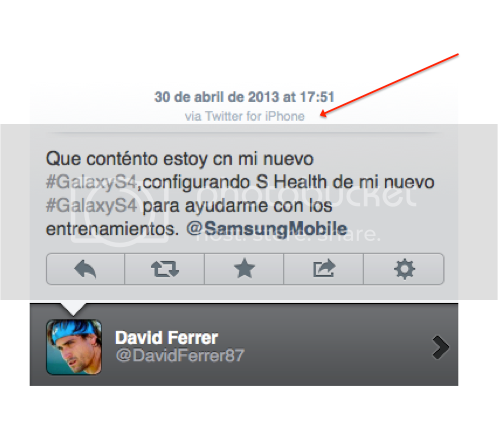 Spanish tennis star, David Ferrer, made a rookie mistake when it comes to sponsorship yesterday. Playing at the Samsung-sponsored Madrid Open, the number four ranked Ferrer tweeted a little love for the new Samsung Galaxy to his 370,000 or so followers. The only problem? As the screengrab below clearly illustrates, the tweet, which has since been replaced, came from an Apple iPhone.